Now this is getting ridiculous. Fresh upon the release of the Fleshtones’ sublime The Band Drinks For Free, and hot on the heels of Television’s amazing performance last week at DC’s 930 Club, we opened up our mailbox to find Existentialism, a 95-page booklet with a 12-song CD tucked in, newly released by the Mekons. What do these three bands have in common? Perhaps only this: each was formed during the final year of President Gerald Ford’s hapless regency. When last we vectored in on our old friends, the Meeks were releasing the distilled ferment from their sojourn to the Isle of Jura, off the Scottish Coast. Jura was something of a gimmick and something of a miracle: a subset of Mekons, along with the formidable Robbie Foulks, did a brief tour of Scotland and took to an island sanctuary to record an album that was fun, but ultimately light, listenable if ultimately inessential. It wasn’t Rock N’ Roll, nor of the quality of the 1990s masterpieces, OOOH! (out of our heads) and Journey To The End Of The Night, but it was a reminder of the Mekons’ greatness, of the power of Jon Langford and Sally Timms singing together, even if we missed Steve Goulding’s drums and Tom Greenhalgh’s sad sack warbling. But just as that album was a clever one-off, like what would happen if the characters in a Shirley Jackson novel picked up pots and pans to play music to ward off the ghosts of a Scooby Doo haunted house, now comes Existentialism, itself a one-off, but of a more interesting, substantial nature. Years ago, co-40th birthday boys, the aforementioned Fleshtones, recorded a live album and had it released on cassette mere hours later. Existentialism took longer to release, but not to record, as it all came together one summer ago on a theater stage in Brooklyn, the full band — yep, Grenhalgh and Goulding, though apparently not Rico Bell — performing, like a bluegrass band, before a crowd and a single microphone. And it works! If e’re you forget that the Mekons can get a groove on, it’s disproved by the opener, “Flowers of Evil, Part 2.” Not wobbling, though a certain amount of warbling ensues, and the band is in fine form throughout. By the time we hear Langford singing about a familiar topic (“O Money”), there is only one band on earth that could have existed to produce this — just as only one band would have recorded a commentary on Brexit entitled “Fear and Beer.” “1848 Now!” may be their best song since 2011’s “Space In Your Face.” As a whole, Existentialism takes a straight line back to the Mekons’ punk rock origins, their being thrown in a studio by Andrew Last and Fast Records just to see what came out — metaphorically conveyed by the cover photo of their first rec, The Quality of Mercy Is Not Strnen, which delightfully depicts a monkey not quite get that line of Shakespeare typed. But in a season when Acura has wondrously called up the Mekons’ 1978 single “Where Were You” in a commercial, Existentialism is a reminder that the Meeks are alive and well, the rag tag army able to reconvene episodically. Like an old couple that have to role play to get the juices flowing, they may need a concept to do so — hey, let’s go to an island and lock ourselves in a makeshift studio! hey, let’s play an album of cool new songs live before an audience, record it and be done with it! — but in the end, man, is it worth it. 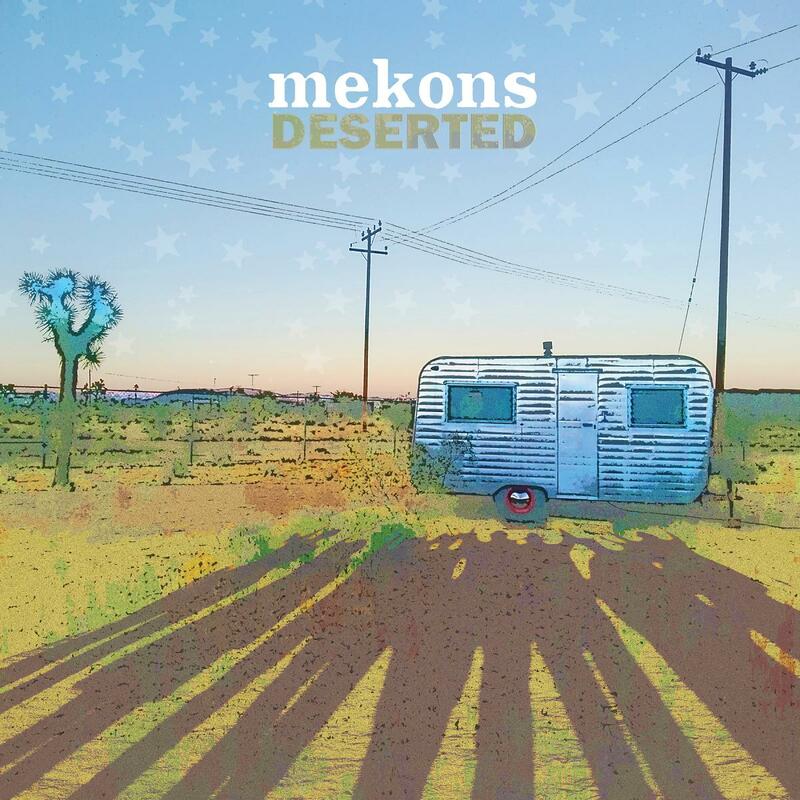 It’s been pretty quiet ’round the parlor since the Mekons passed through on their 30th Anniversary tour a few years back… nothing from the Meeks proper, and where are Sally and Rico and all the rest with their solo albums? Even Jon Langford, the closest thing to a workaholic among the Meeks, seemed to have left the Waco Brothers out on the byways. So listening to Old Devils is like having an old friend drop by unexpectedly. Under the aegis of Jon Langford and Skull Orchard, the music is closer to Langford’s ’98 solo album, Skull Orchard, and to the alt.country Wacos than to comic, cosmic Mekons. Too bad, but still, Langford remains a rock’n’roll treasure who while Chicago based, is still Welsh enough to appreciate Tom Jones; a first-gen British punk who can still crack a whip. Old Devils is tight, fun, and tuneful. Glad to have this old devil aboard.